Do you like to travel? So probably you like to visit some remarkable places in any location you choose to stay for a while. Fortunately you can use a convenient online directory website to find sights, parks, museums, cafes, malls, restaurants, cinemas, and any other places to go and spend a good time. Listing Easy is our new directory WordPress theme which will easily become a full fledged website for those who can share their knowledge of all the best places around the world and help their visitors find any awesome place within seconds. The search functionality of the theme allows users select a category and a region as well as name a place they want to find in the definite location. So as they click the search button they instantly get the results. There is no more convenient way to find a place to stay and take a rest, the directory does the search instead of you just within a few moments. The theme comes with 2 homepage layouts to select from, different types of listings, About Us and How It Works page layouts, a number of post types for tips and articles. The Add Listings functionality allows business owners add their places to the directory with exceptional simplicity. 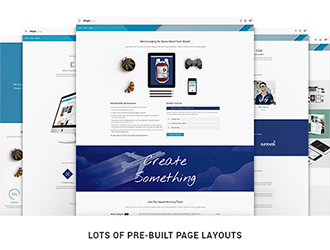 The theme comes with a bunch of readymade shortcodes and perfect typography, it is easily editable and customizable thanks to the drag and drop interface provided by Visual Composer. 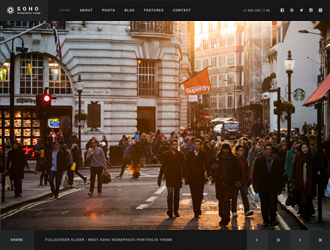 Just try the theme today and learn all of its features. Will this theme work with events calendar or does the theme come with events capability? Also, do you let us know where to get the needed plugins to make theme work like your demo? Yes, the theme is compatible with events calendar. But it requires some minor styling corrections. I have the listings theme, but would like to know how do I change a listing owner (user). If I loaded a listing on a clients behalf, how do I give them ownership? You can do that only manually, in the user settings. I’m currently building a website with your theme for a client! It’s amazing and I can’t wait to see its full functionality. I need some help with the Listing Dashboard – I want to extend the table, and in particular to add new columns. How I’m supposed to do this? Is there a plugin creating the table and if so which plugin in which version do I need? Hello, I have a problem on my site. I don’t view maps. How to solve this problem. Please help me. Please submit a support ticket at https://gt3.zendesk.com/hc/en-us/requests/new and our team will check it.